Compete now through Fri, 6/1 with your WGT Country Club for your chance to win these poker chip tee markers and flags. Go all in this week to win these tees and flags for your club, plus other in-game rewards like Course Builder currency for the top 500 clubs to create custom courses. 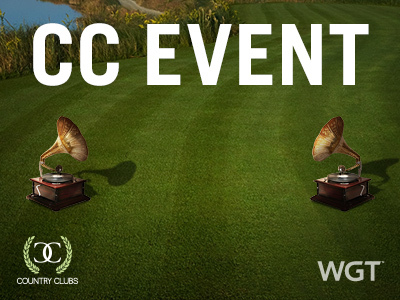 CC Event #74 runs 5/31-6/1 with multiple 4-hour Clashes, so be sure to play as many games as you can for your club and keep your eyes on the leaderboard. 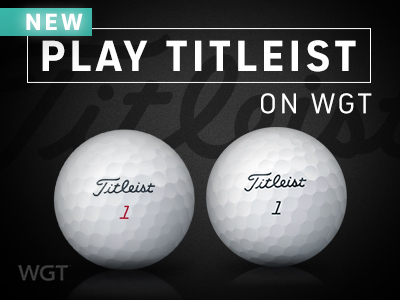 Last month we added Titleist golf balls, this month we're expanding the Titleist collection with clubs, now on WGT for the first time! We've added a new virtual driver, fairway wood, hybrid, putter and irons to the Pro Shop -- available now for all players. Get more out of your golf bag with the brand new virtual clubs from Titleist, adding more precision and distance to your game. These premium virtual golf clubs all unlock at Level 0, so they're all available immediately for players at any level! Once you've gotten your virtual golf bag upgraded and ready to go, be sure to compete in the 2018 Virtual U.S. Open Qualifier tournament! The competition is strong, but shooting the lowest leaderboard score isn't the only way to win a trip to next year's U.S. Open at Pebble Beach. There's a second Grand Prize trip up for grabs for a lucky sweepstakes winner chosen at random -- that could be YOU. All you have to do is enjoy the 18 holes of full stroke play on the new 10th anniversary golf course, featuring some of the best holes from past U.S. Open Championships. This includes a number of the country's most prestigious courses including Bethpage Black, Pebble Beach Golf Links, Congressional Country Club, The Olympic Club, Merion, Pinehurst No. 2, Chambers Bay, Oakmont Country Club and Erin Hills. 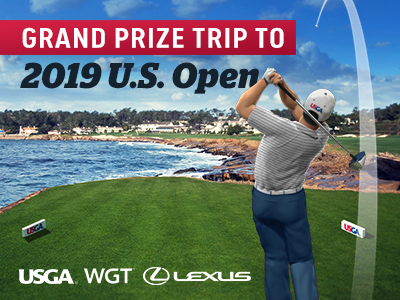 - Chance to win a Grand Prize trip to the 2019 U.S. Open! Open to all WGT players, but only eligible countries can win prizes. See rules for details and eligibility. We've got a new virtual ball effect just in time for the 2018 World Cup, featuring a soccer ball vapor trail and crowd to cheer on every one of your hits. Available now in the Pro Shop, then just click the ball effects icon (magic wand) in-game to turn them on or off. These also make a great gift for your soccer-loving WGT friends! If flying soccer balls and cheering crowds aren't your thing, check out the Country Flag Ball Effect to rep your country instead! With this effect, just select a country and your vapor trail will fly the colors of that flag. Gear up for the long weekend with even more XP! Today and tomorrow, you'll earn 50% bonus XP (experience points) when you play to help you level up faster, unlocking new equipment and features. *Promo runs 5/24/18-5/25/18, earn 50% more XP when you play WGT. Compete now through Fri, 5/18 with your country club for your chance to win these classic phonograph tee markers and flags. Turn up the music in CC Event #73 this week and play to win these and other in-game rewards, like Course Builder currency for the top 500 clubs to create custom courses. 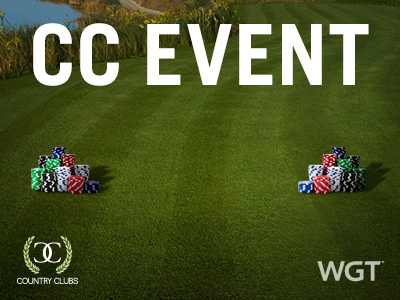 CC Event #73 runs 5/17-5/18 with multiple 4-hour Clashes, so be sure to play as many games as you can for your club and keep your eyes on the leaderboard. Don't miss the latest in avatar fashion – new USGA virtual gear, so you can look and play your best in the Virtual U.S. Open. 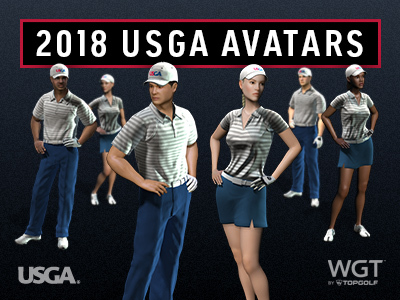 Available for a limited time, get the 2018 USGA avatars and apparel now in the WGT Pro Shop. This year's collection is a classic look, featuring a striped gray shirt, blue pants/skirt, white hat and white shoes. WEB PLAYERS, get your favorite avatar (or collect all 6) in the Pro Shop – they're all free, but are only available during the Virtual U.S. Open! MOBILE PLAYERS, get all the apparel items (also all free!) in the Pro Shop now on WGT Golf Mobile. Chance to win a Grand Prize trip to the 2019 U.S. Open! 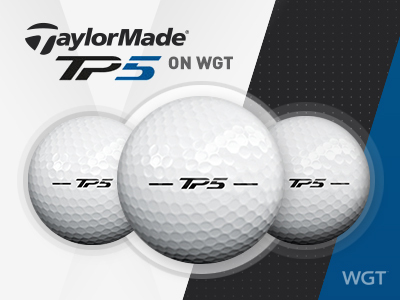 Upgrade your game with all new TaylorMade balls in the Pro Shop. 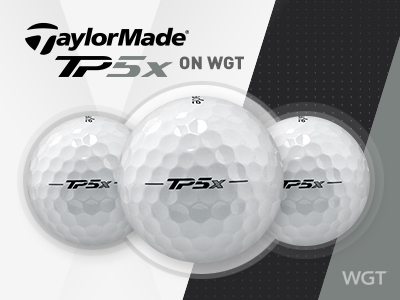 The new TaylorMade TP5 and TP5x virtual golf balls are great for mid-high level players, and are also available in vapor and super vapor options. Compete in this month's Virtual Tour tournament for a chance to win WGT Credits. 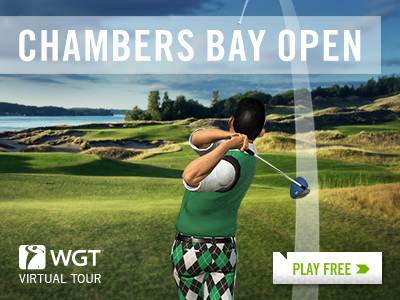 The Chambers Bay Open is the second tournament in the Apr-Jun Quarterly Season of the 2018 WGT Virtual Tour, with a total purse prize of 100,000 WGT Credits. Play the unlimited play first round (5/1-5/26) followed by a single-play second round (5/27-5/31), with the top 70 combined scores in each Pro-Champion tier splitting the total purse prize. The winning players in each Pro-Champion tier of each monthly tournament will also display a "reigning champion" icon next to their player name through the following month. 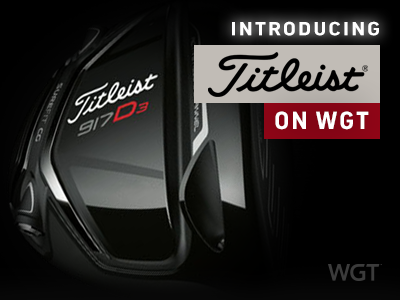 In case you missed our announcement last week, Titleist is now available on WGT for the first time ever! There's a new Titleist Pro V1 or Pro V1x ball for players at all levels to choose from, to add more distance, control, spin and a slower WGT swing meter. This classic name in golf (and one of the most requested brands from players) is a top performer, improving your game overall. Plus, if you're into vapor trails you have those options too, to help make all your shots easier to track. 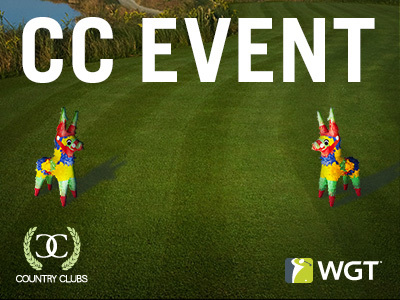 Compete now through Fri, 5/4 in CC Event #72 for your chance to win these ready-to-party piñata tee markers and flags. We're starting the party early over here with these piñata tee marker and flag prizes, just in time for Cinco De Mayo weekend. Compete now for your chance to win these and other in-game rewards like Course Builder currency for the top 500 clubs to create custom courses. CC Event #72 runs 5/3-5/4 with multiple 4-hour Clashes, so be sure to play as many games as you can for your club and keep your eyes on the leaderboard. Mother's Day is Sunday, May 13! This year get free WGT Credits for yourself, while you save with special offers on Mother's Day gifts for her. Just go to the "Earn Credits" screen on wgt.com or on WGT Golf Mobile to see all the special offers.